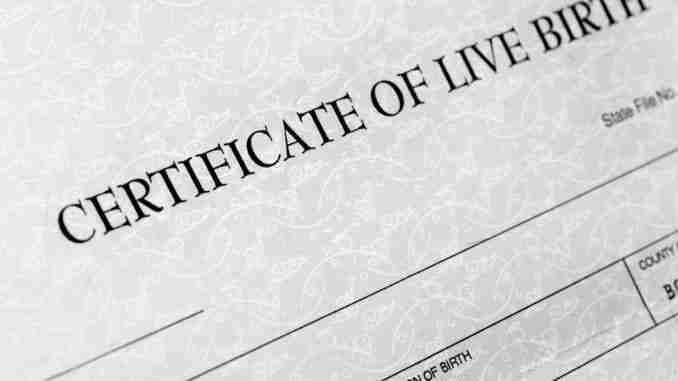 Des Moines, Iowa – Iowans who have a child, born between 1993 and 2009, are being encouraged to replace their wallet-sized birth certificate issued to newborns in the state during that time period. Melissa Bird, with the Iowa Department of Public Health, says the smaller cards are missing vital information that make them useless for various identification purposes. Parents of many children have already exchanged the wallet-sized certificates, but the Iowa Department of Public Health is now offering the exchange at no charge. Iowans who were born in the state during that time period can get a new birth certificate for free, but must surrender the old wallet-sized card. The application can be filed online through the Iowa Department of Public Health’s website. Bird says, due to the volume of requests, it may to 4 to 6 weeks to process each application. Iowans can also make the exchange through their local county recorder’s office or the newborn birth cards may also be exchanged by mail or in person with the Bureau of Health Statistics, 321 E. 12th St., Lucas State Office Building, Des Moines, Iowa 50319.